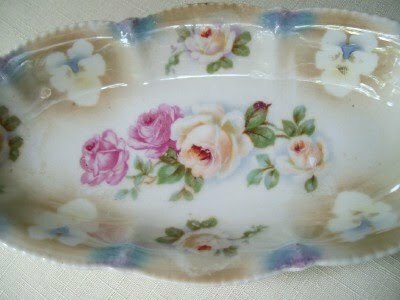 Bella Rosa Antiques: LOOK What I found! 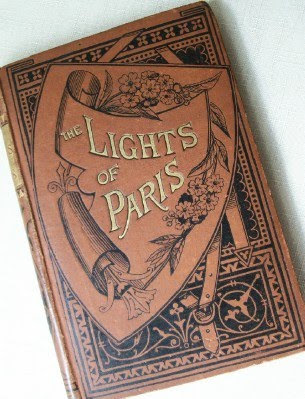 Antique Paris Book, Early China Plate in PINK, Vintage Ledger, Frances Brundage Book, Postcards and More! LOOK What I found! 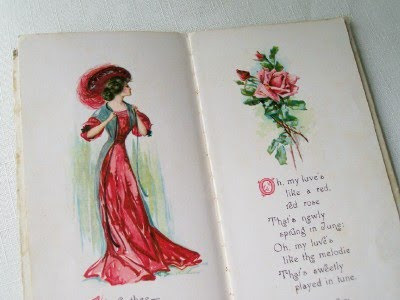 Antique Paris Book, Early China Plate in PINK, Vintage Ledger, Frances Brundage Book, Postcards and More! They're up on the website... my latest finds from my excursion on Saturday. Each week I usually find a favorite .... last week it was the German seashore puzzle. 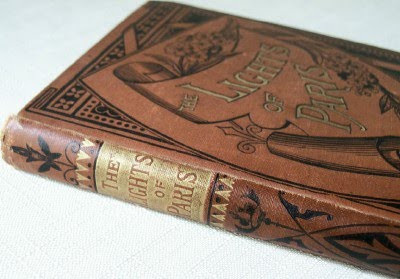 This week it is this unique "Lights of Paris" antique book. They just don't make them like this anymore! 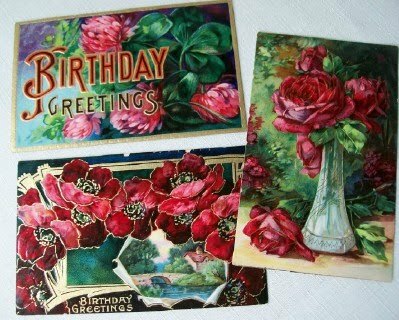 I paired three postcards together with the lush deep red florals. Makes a difference when they compliment each other. 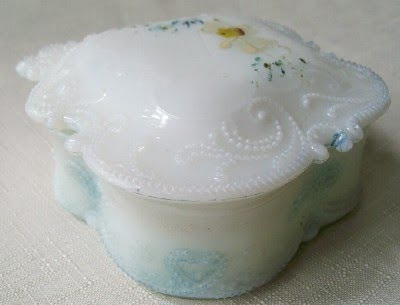 Milk glass, Victorian era... it is the matching partner to one we sold recently. Looks vintage? 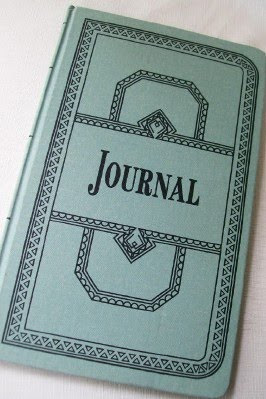 It is actually a reproduction of an old ledger. I still think it is fun! fourth of July table settings! 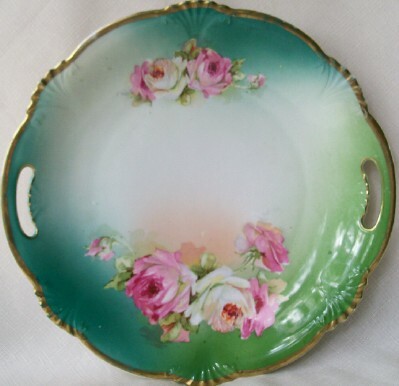 The lustre on this rosey dish is beautiful! Hard to capture in a photo. Another nice old piece. 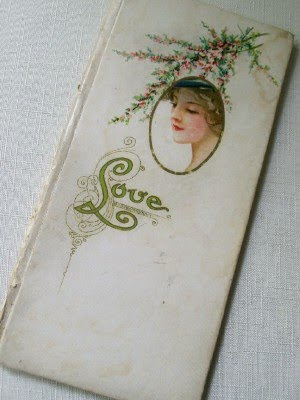 The backstamp says "Bavaria"
I ended up in "LOVE" with this little Victorian gift book. Gorgeous illustrations by famous artists. Several of them by Frances Brundage. But before I could type this, the book SOLD! 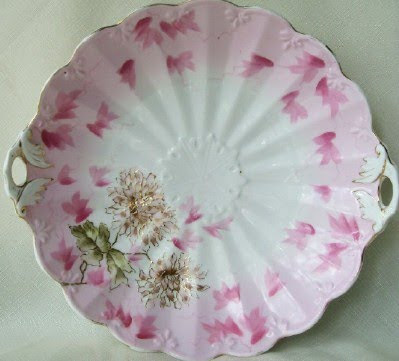 My fellow pinkies may like this gorgeous antique plate or shallow bowl. 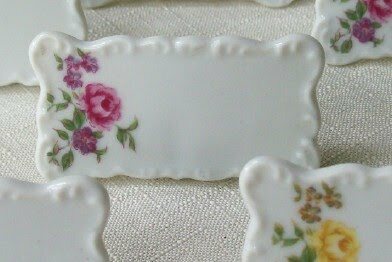 There are two sets of 6 porcelain placecards, just listed. A few more postcards, one is a Valentine! 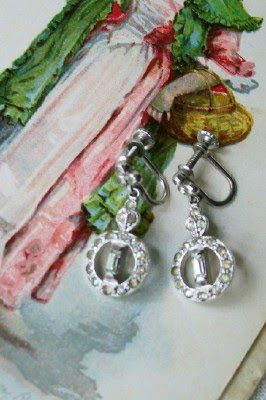 And a pretty pair of elegant dangling earrings. Jillian - what a fine presentation of all the beauties you found - and I was there! Take it from me, folks - this gal has an eye and knows how to pick'em! 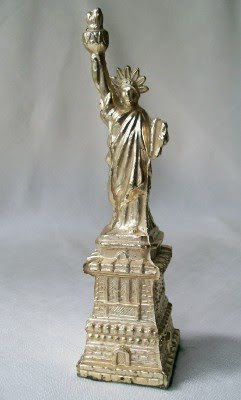 I admit - I had a nice little shopping spree myself when I visited Bella Rosa Antiques up close and personal recently! 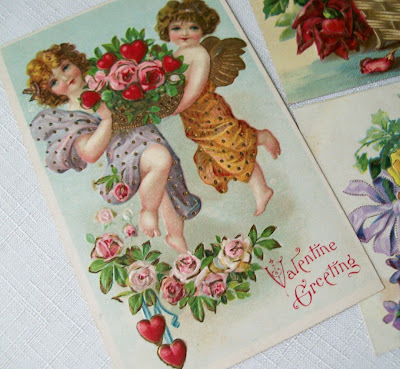 Best to you - looking forward to seeing more lovelies . . .